This post has been sponsored by Apex Window Werks. I have received compensation to share this content. It isn’t until your window gets cracked or smashed, or the frame has begun to rot, or you’re tired of it getting jammed all the time that you realize a decision must be made; to repair the problematic window or to replace it altogether. One is obviously a lot costlier than the other, so how do you know when the time is right? might be the right decision for you. replace the glass pane and the sash for a budget friendly option. window putty. However, if the rot is extensive, you should replace the window. be located, in which case replacement is the next port of call. which negatively impacts your comforts and will cause your energy bills to climb. glass alone will cost less than replacing the whole window. Increased energy efficiency means lower energy bills. 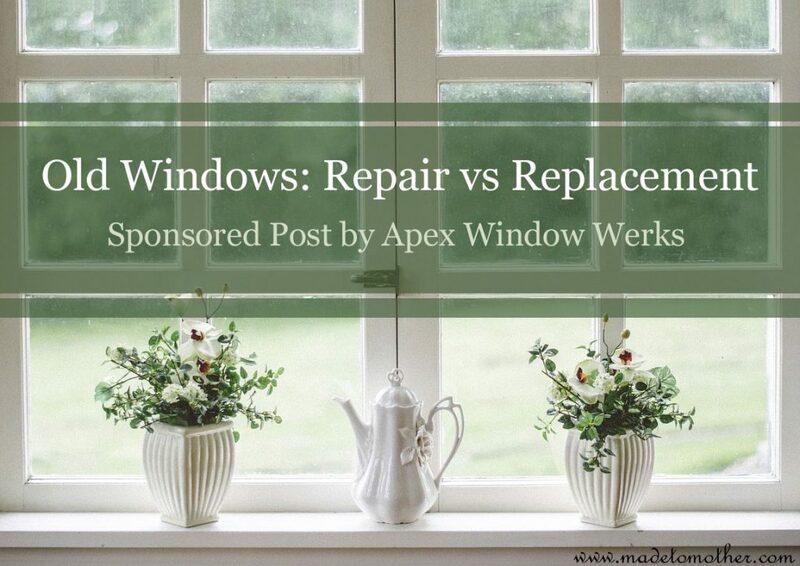 To learn more about energy efficient windows or outstanding window repair or glass replacement services, contact Apex Window Werks today and chat to our friendly knowledgeable staff.